MSE Creative Consulting Blog: "Worse Than Predicted"? Really? Damaging high wind gusts up to 65 mph are expected along the immediate coastline from Cape Cod southward to Cape Hatteras. Coastal erosion and flooding are likely to be exacerbated by higher monthly tide conditions during the height of the storm. 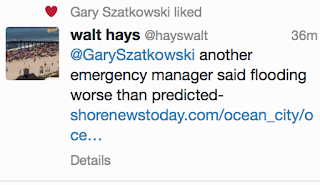 Since multiple emergency managers (according to the tweets) are now complaining about the forecasts of coastal flooding, it is appropriate to ask the question, Which forecasts were they using? Television meteorologists forecast for the general public and try to build the largest audience they can by doing so. However, they cannot provide a high degree of specificity in 2 to 2.5 minutes. 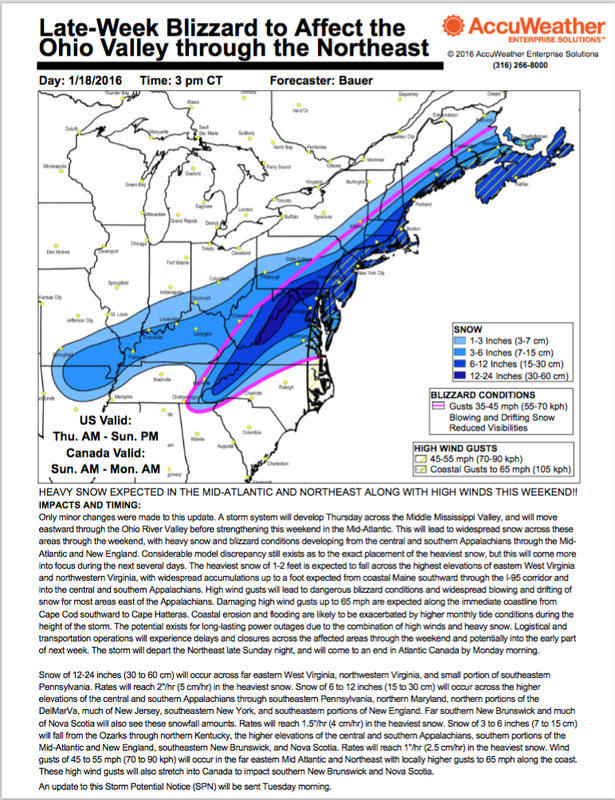 The National Weather Service is forecasting for the general public and emergency managers. However, they have to treat everyone equally. They do not have the mission to provide special products to different users or different locations. AccuWeather Enterprise Solutions forecasts for its clients which include emergency managers. We treat every client's need specifically. For example, railroads don't care much about hail. Aircraft manufacturers with planes outside of their factories (which can receive millions, per plane, in hail damage) care greatly about hail. So, our forecasts for those clients differ significantly due to client's differing requirements. AccuWeather's video last week explicitly emphasized there would be serious coastal flooding. Unlike broadcast television news, we are not constrained by time limits and can devote as much time as needed to a serious storm-related issue. There is nothing wrong with different forecast organizations emphasizing different things in their forecasts. That said, it is important for a person, a business, or an organization to select a source of forecasts that ties into your interests. Once you have selected a source of forecasts, stay with it. Academic research demonstrates that using multiple sources of weather forecasts degrades the quality of weather-related decisions.